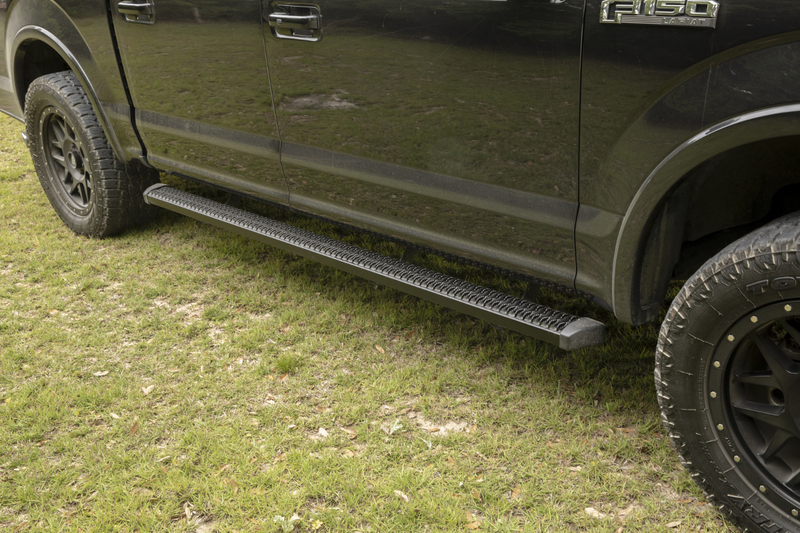 SlimGrip™ running boards give your truck an aggressive look while providing safe, high-traction footing. 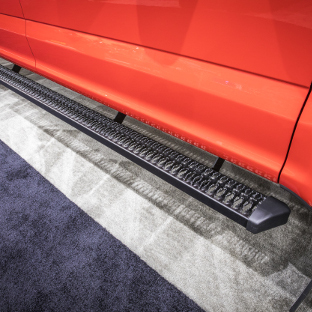 They're the perfect side steps for work trucks and offroad trucks alike. They are also extremely resilient to the elements, featuring powder-coated aluminum construction. 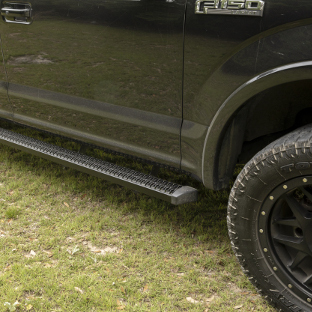 SlimGrip™ running boards are made with the safety and durability of our popular Grip Steps™, while offering a sleek, aggressive look to suit the offroad, custom truck build. 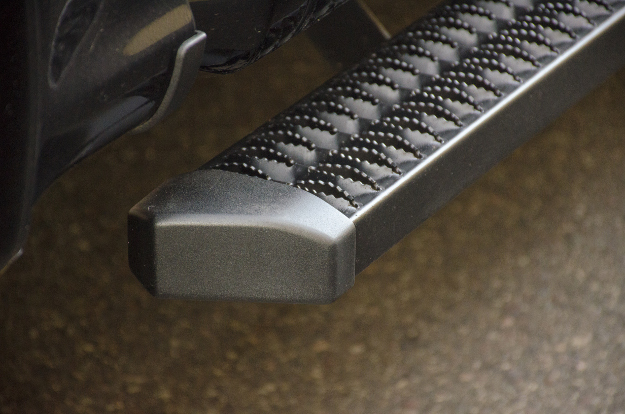 SlimGrip™ boards are equipped with the VersaTrac® running board mounting system. 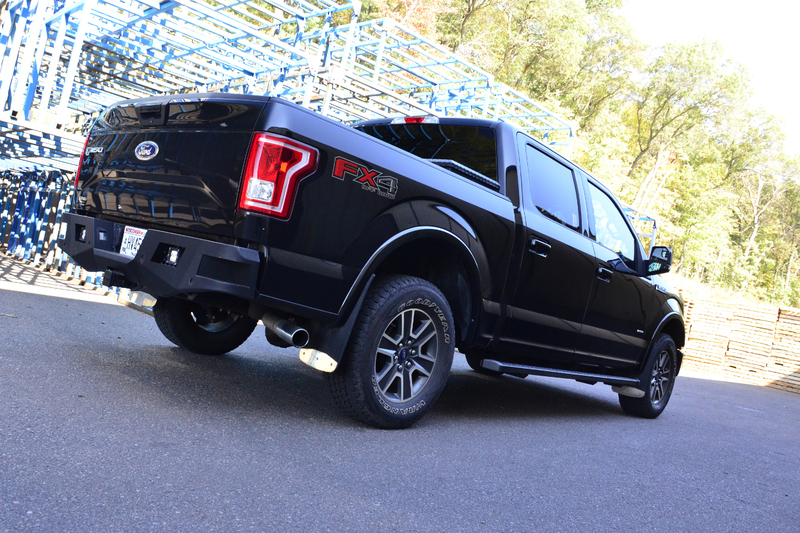 Each set installs with vehicle-specific brackets and requires no drilling into the vehicle's frame. 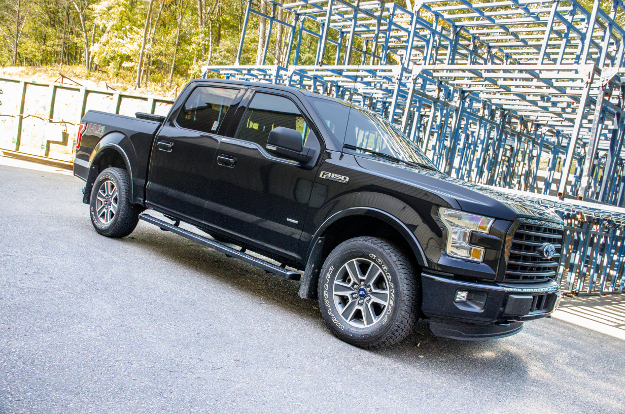 At the jobsite, SlimGrip™ running boards offer fleet-approved safety, featuring the same expanded metal tread design as our Grip Step™ running boards. 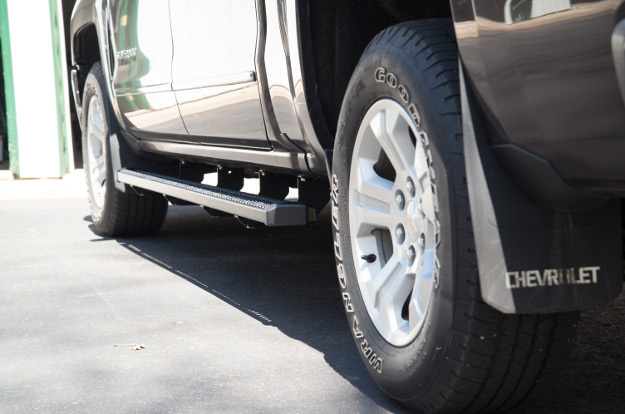 The 4-3/4" wide treads provide maximum traction and durability for safe entry and exit every time. They lock onto your boots for a superior non-skid surface, and because they're made from metal, they last much longer against wear than plastic alternatives. 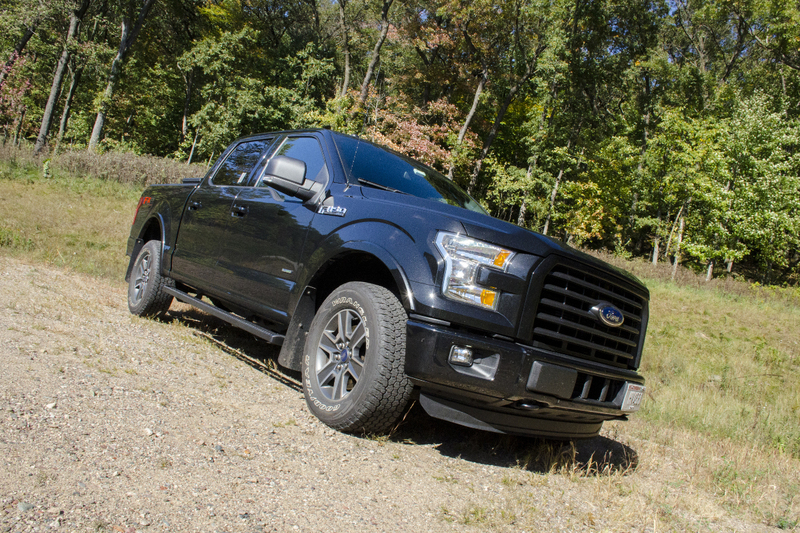 SlimGrip™ running boards are made with a sleek profile and angular endcaps, giving them an aggressive look to complement the offroad truck. 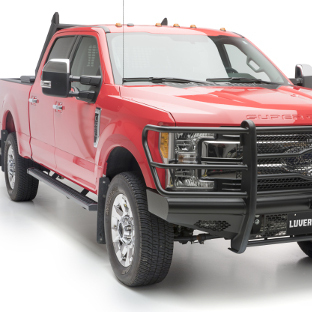 They are also built to resist the elements and keep your truck light on its feet with their aluminum alloy construction. 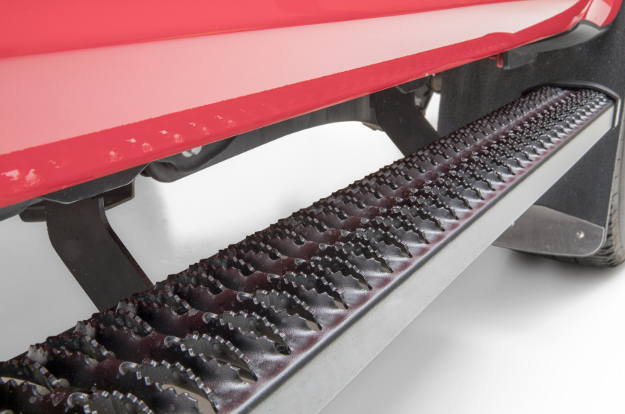 We use an extruded 5052 aluminum for reliable strength and optimum fuel efficiency. 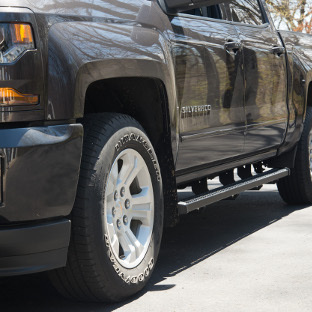 SlimGrip™ truck running boards are not only built from aluminum to be lightweight and non-corrosive, but they are also finished with a highly durable powder coat. 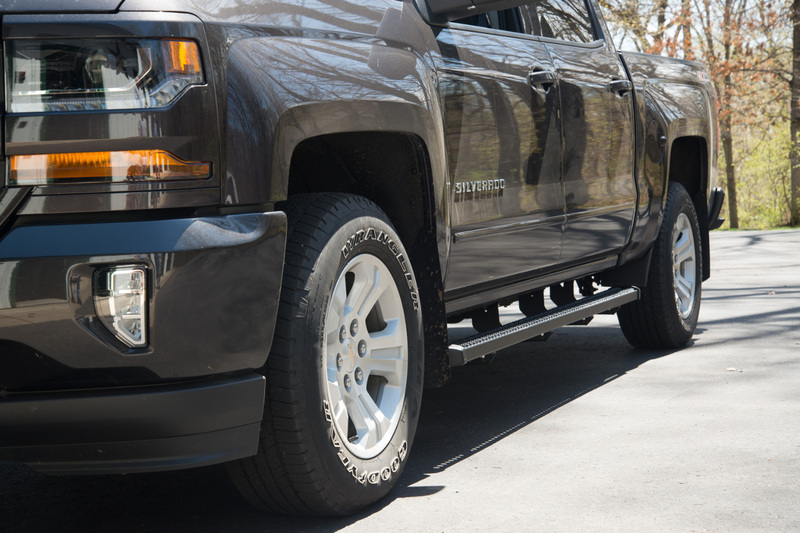 The textured black coat shields the running boards from rain, dirt, snow and debris, maintaining a sleek, professional look on your truck. 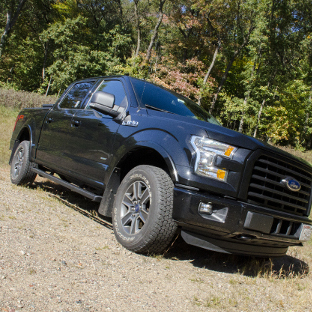 The expanded aluminum treads of SlimGrip™ running boards are safe and long-lasting, but they also provide an additional benefit. 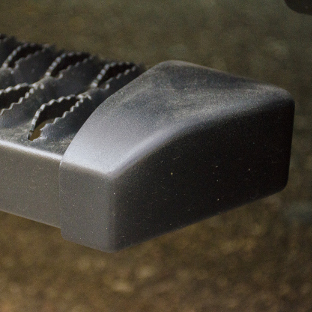 With their open, through-hole configuration, they help keep your truck cab clean. 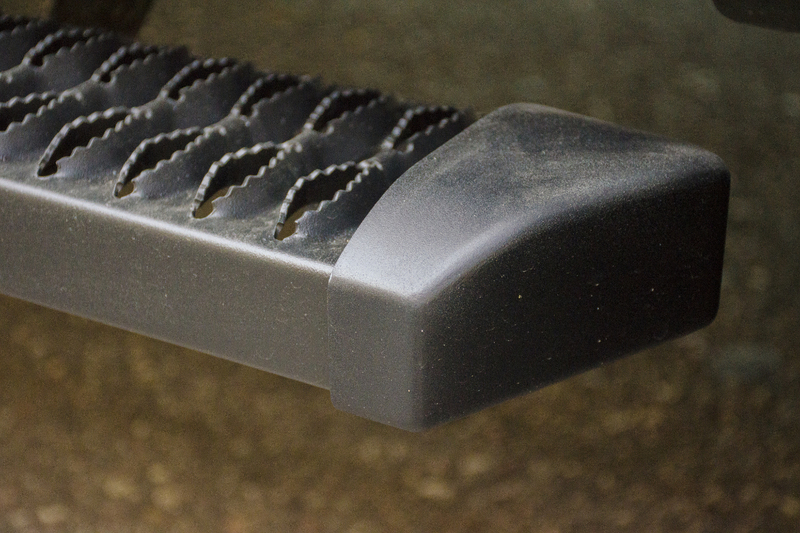 When you step on the SlimGrip™ running board, dirt, snow and other debris get knocked off your boots. 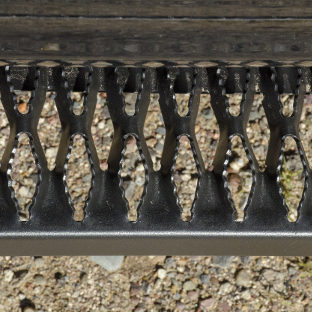 Instead of collecting on the treads, the mess passes through the board, keeping it out of the cab of your truck. 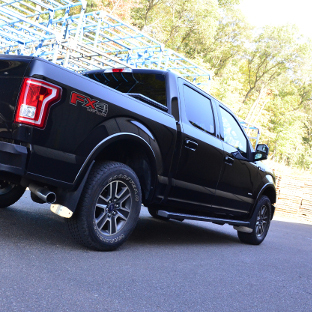 SlimGrip™ running boards couldn't be easier to install, featuring the VersaTrac® mounting system. 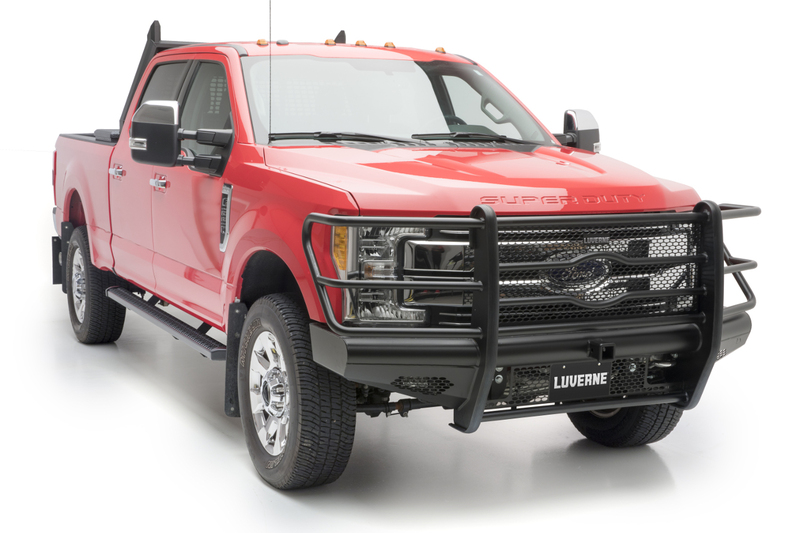 They use a channel system and vehicle-specific brackets to ensure a custom fit on each application. 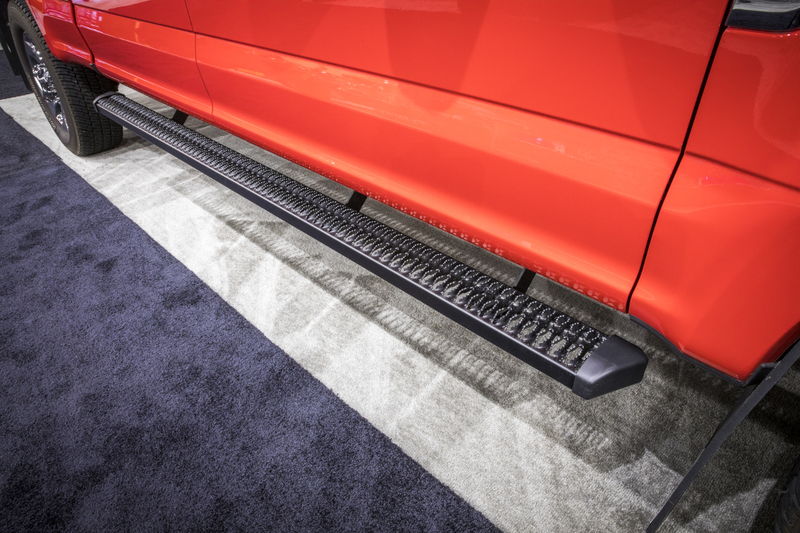 VersaTrac® allows these truck side steps to be installed with no drilling necessary. 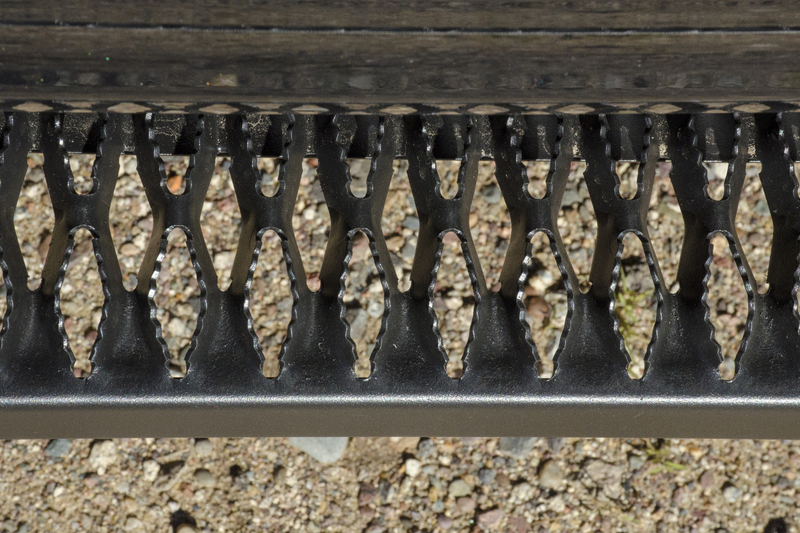 It also allows the brackets to be compatible with other running boards and side steps that are VersaTrac® equipped.